When a movie’s trailer claims it comes from a “visionary” filmmaker, that sets up big shoes for the film to fill. This led me to see if 2017’s Buster’s Mal Heart managed to provide something worthwhile that would stand out from the pack. Set in the 1990s, a married father named Jonah (Rami Malek) works the night shift at a hotel. One day he meets Brown (DJ Qualls), a drifter who focuses on conspiracy theories. Brown tells Jonah of an impending calamity called “The Inversion” – one tied to Y2K - and this sets Jonah down a different path. He retreats from his family and society to become an isolated “mountain man” known as “Buster”, all while he copes with his change in fortunes and his fears of the future. While I always like to hear audio commentaries for movies, I crave these discussions for some films more than others. Heart offers an effort that really could’ve used a commentary. I say this not because the movie confused me – I say this because I’d love to know how much US politics impacted it. Given that Heart debuted at festivals in the fall of 2016, it exists on the cusp of “Trump’s America”, so it could’ve been created during to his rise through the Republican ranks or it could predate those events. Although the story takes place in 1999, I find it difficult to view Jonah/Buster as anything other than a representative of the stereotypical angry/disaffected Trump supporter. Granted, the movie paints him in a more complex way than this comment implies, but he still feels like a representative of the Trump “movement”. Whatever that case may be, Heart creates an intriguing take on its subject, albeit one that wears its influences on its sleeve. 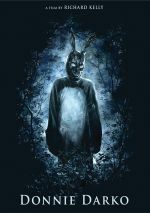 We can easily see a strong connection to Donnie Darko, and I get a clear The Shining vibe as well. Throw in the obvious Biblical allusions related to Jonah’s name and the film often flaunts its inspirations. These threaten to become a little too dominant, but Heart still makes its own name for itself, and a non-linear narrative helps. We visit Jonah/Buster at various points of his life without the usual straight-ahead orientation, and this works well. The plot pursuit never suffers from confusion, and the film manages to spell out the different areas in a concise, involving manner. Heart does come with a few oddly trite story choices but it still mostly stays on the right side of the ledger. An excellent lead performance from Malek also benefits the film. He takes us through Jonah’s descent into semi-madness without obvious affections, so he manages to form a convincing personality who feels believable. Malek becomes arguably the best thing about the movie. Does Heart make me view its creator as “visionary”? No, but it still manages to offer a pretty intriguing tale. Even with some flaws, it mostly achieves its goals. 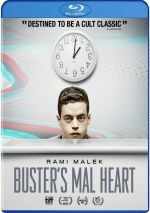 Buster’s Mal Heart appears in an aspect ratio of approximately 2.35:1 on this Blu-ray Disc. The movie came with a positive presentation. Overall sharpness seemed solid, as only a smattering of slightly soft images resulted. The majority of the film appeared accurate and well-defined. No issues with shimmering or jaggies materialized, and I also saw no edge haloes or print flaws. In terms of colors, Heart mostly opted for a wan, sickly form of teal with some mild amber tossed in as well. This left us with a dull palette but the Blu-ray replicated the tones as intended. Blacks were fairly deep and dense, while shadows offered good clarity. The transfer reproduced the film nicely. I also felt pleased with the movie’s DTS-HD MA 5.1 soundtrack, as it added to the experience. Much of the film focused on music and ambience, but the soundscape came to life in a more active manner on occasion. This meant good usage of the surrounds during a few dynamic scenes. Scenes that used gunfire added to the settings, as did those with fantasy elements or others on the sea. Though not a slam-bang mix, the soundfield worked fine for the material. Audio quality also satisfied. Speech appeared natural and concise, without edginess or other issues. Music seemed full and rich, while effects were accurate and showed nice range. This turned into a more than competent soundtrack. Seven Deleted Scenes fill a total of nine minutes, 44 seconds. For the most part, these focus on character bits, most of which seem unnecessary. I do like the conflict between Jonah and the hotel cook, as that one offers some intriguing developments. Otherwise, this seems like a largely forgettable collection. The disc opens with ads for Bluebeard, Mine and Punching Henry. We also get a teaser and a trailer for Heart. Some films try a little too hard to dazzle us with their cleverness, and Buster’s Mal Heart falls into that category. Still, even with all its abundant pretensions, the movie manages to create a fairly involving journey buoyed by a terrific lead performance from Rami Malek. The Blu-ray provides good picture and audio along with minor supplements. Though Heart doesn’t totally succeed, it still keeps us with it.